MIAMI, Fla., March 22, 2019 (GLOBE NEWSWIRE) — via OTC PR WIRE — Miami-based United American Corp (“UnitedCorp”) (UAMA) announced today that it has completed the acquisition of TNW Wireless Inc. (“TNW Wireless”) from Investel Capital Corporation (Canada) (“Investel”). The plan to acquire TNW Wireless was initially announced in June 2017 and was pending the outcome of TNW Wireless’ Part 1 Application of July 2017 to the Canadian Radio-television and Communications Commission (the “CRTC”). Under the final terms of the share exchange agreement, Investel receives 35 million common shares of UnitedCorp based on a valuation of US$0.15 per share in exchange for all issued and outstanding shares of TNW Wireless and UnitedCorp will assume CD $2.5 million in related promissory notes. Since June 2017 UnitedCorp has also provided TNW Wireless certain advances against the acquisition. The Part 1 Application, amongst other things, asked the CRTC to compel Bell Mobility Inc. and TELUS Corporation to provide mandated roaming agreements to allow TNW Wireless to provide national coverage. With the CRTC ruling in favor of TNW Wireless on this request in its decision 2019-56 issued on February 28, 2019 and with the Commission further reconfirming that TNW Wireless is eligible to operate as a wireless carrier in Canada, all conditions for the acquisition had been met. The acquisition is subject to final regulatory approval and all necessary submissions have already been undertaken. On February 28th, the CRTC also issued a Telecom Notice of Consultation CRTC 2019-57 where the Commission stated that it is launching a comprehensive review of mobile wireless services in Canada. The CRTC noted that the Canadian wireless industry lacks competitive retail options and that a sustainable retail Mobile Virtual Network Operator (“MVNO”) market has failed to develop under existing conditions. The Commission cited TNW Wireless’ Part 1 Application and its 2019-56 Decision as an example. As such the review will address competition in the Canadian retail market, the current wholesale mobile regulatory framework with a focus on wholesale Mobile Virtual Network Operator (“MVNO”) access and the future of mobile service with a focus on reducing barriers to infrastructure deployment. The Commission has stated that its preliminary view is that it would be appropriate to mandate that the national wireless carriers provide wholesale MVNO access as an outcome of the proceeding. Furthermore, the Commission’s preliminary view is that the national wireless carriers’ mandated wholesale MVNO access should be in place for a limited amount of time and be subject to a phase-out period as market forces take hold. By initiating this consultation, the CRTC is has recognized the necessity of establishing a Canadian regulatory framework whereby smaller wireless facilities-based operators need to have MVNO access to the national carriers. TNW Wireless believes that the CRTC will move towards establishing a long-term retail wireless framework to allow more competition amongst wireless facilities-based carriers and a more balanced competitive playing field where smaller facilities-based carriers such as TNW Wireless can operate on a national basis and utilize its innovative iPCS technology. Therefore TNW Wireless intends to participate fully in the consultation process and will file an intervention with the CRTC by the May 15, 2019 deadline and will participate in the public hearings to be held in January 2020. 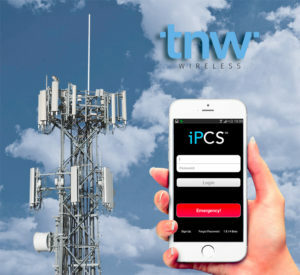 TNW Wireless is a licensed wireless operator for wholesale and retail services in Canada and is a wholly-owned subsidiary of Investel Capital Corporation Canada pending the acquisition by UnitedCorp. The company currently holds 25MHz bandwidth tier-2 850 MHz licences and is a registered wireless carrier. It is licensed to provide communication services to the Northwest region of Canada and can provide global communication services through its proprietary iPCS Smartphone-over-IP technology.